FENDT OFFERS VARIOUS EQUIPMENT VARIANTS FOR THE FENDT 300 VARIO TO 1000 VARIO SERIES. The Fendt 300 Vario is already available ex-factory as a ProfiPlus variant with fully integrated guidance system. With immediate effect, PowerPlus equipment variants of the Fendt 500 and 700 Vario series are available with the additional option of a VarioGuide guidance system. In other words, each customer is always free to choose. He can buy a Fendt tractor with the equipment he needs to tackle the work he is required to do. However, no matter whether he opts for Power, PowerPlus, Profi or ProfiPlus, he will always get a high-quality, comfortable Fendt tractor, a vehicle that really does hold its value. Tracking – the use of guidance systems – is an increasingly important topic, also for tractors in the 4-cylinder class. Fendt is the only agricultural equipment manufacturer in this horsepower class to offer a fully integrated guidance system. Fendt consistently allows technical innovations from its high-horsepower tractors to migrate across to its smaller vehicle ranges. This enables small to medium-sized farms to share in the economic benefits of the guidance system. As well as the economic and ecological benefits of savings in seed, fertiliser and crop sprays, many farmers place even greater value on being able to work efficiently and without getting fatigued on pasture land and vegetable cultivation land. From March, the highest-selling tractor series in the history of Fendt will be available for the first time ever with the new ProfiPlus equipment variant which features a 7“ terminal. This means that the Fendt 310, 311, 312 and 313 Vario tractor models, spanning a performance range of 100 to 138 hp, are available with the fully integrated VarioGuide guidance system. As in the larger series, the customer can choose between a NovAtel receiver or a Trimble receiver with a range of precision levels between VarioGuide Standard to VarioGuide RTK. “The Fendt 300 Vario, used in combination with a guidance system, with an ISOBUS controller and with headland management, is the perfect tractor for ploughing work, the spreading of mineral fertiliser, chopping, mowing or the cultivation of vegetables”, states Fendt Marketing Director Roland Schmidt as he explains the need to offer a guidance system, also with the ProfiPlus model in the 300 series. Today, cost effectiveness and ecological factors also have an important role to play in the volume segment of tractors with power ratings of 100 – 200 hp. 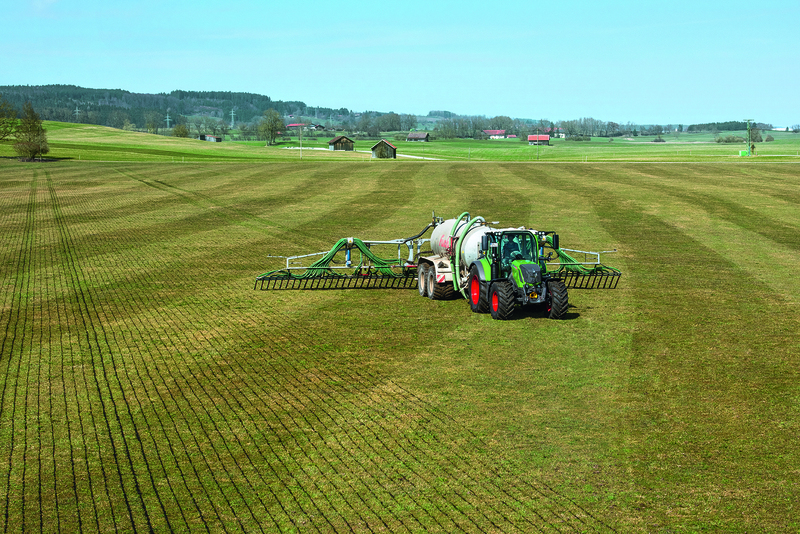 Given the latest set of legislative parameters, it is advisable to have a guidance system, for example when spreading slurry”, states Roland Schmidt. In future, to enhance safety and comfort, the external hydraulic actuation system will also be available on the right side, e.g. for operation of the hydraulic upper control arm. The external valve actuation from the Fendt 300 Vario is available as an option for the Profi and ProfiPlus equipment variants. With the new ProfiPlus model for the Fendt 300 Vario series, and from 100 hp and above, Fendt now offers a seamless and fully integrated guidance system for tractors that can also be used in the self-propelled harvesters, Fendt field choppers and Fendt combine harvesters. In 2014, Fendt successfully extended market access for Fendt tractors with the Power strategy. In 2015, the PowerPlus versions were first installed in the Fendt 800 and 900 Vario series for markets where there was a great need for guidance systems. This strategy is now being continued in the lead-up to Agritechnica 2017 by offering PowerPlus with the Fendt 500 and 700 Vario models. 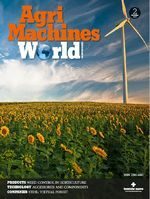 This now means that even the entry-level models can deliver the operational and efficiency benefits of an automatic guidance system. At this time, the Fendt 500 Vario and 700 Vario series are Fendt’s volume models. In March, the PowerPlus version will be added to the existing range of equipment variants. “In particular, customers who do not have the same level of need for technical equipment – examples being a smaller hydraulic pump, a smaller number of valves per cylinder, or a small terminal – but who nonetheless wish to benefit from the superb economy that can be achieved with a guidance system, will find PowerPlus equipment an interesting proposition”, states Roland Schmidt. “For example, this technology can also deliver benefits on pasture land, during mowing, muck-spreading, cultivation and sowing”, states the Fendt Marketing Director. This open system architecture means that the new PowerPlus models can be equipped with a NovAtel or a Trimble receiver. The customer can define the precision of the guidance system himself: From VarioGuide standard, accurate to within +/- 20 cm, up to VarioGuide RTK which is accurate to within +/- 2 cm. With more than 60 percent of the Fendt 700 Vario range now leaving the factor with wiring in place for a guidance system, VarioGuide has become a determining performance feature for Fendt customers. The Fendt 500 Vario and 700 Vario PowerPlus are available with the option of a reverse warning buzzer and an additional ISOBUS implement controller. “Specifically when working on pasture land, customers can benefit from the ISOBUS function”, states Marketing Director Roland Schmidt. “For example, the forage wagon can be controlled via the data bus. The wagon is either controlled from the Vario terminal or you can install the entire range of functions for the implement on the Fendt multi-function joystick. That dispenses with the need for additional monitors”. The 700 PowerPlus series can be ordered with the option of an automatic steering brake. Furthermore, from as early as mid-2017, all tractors, from the Fendt 300 Vario to the Fendt 1000 Vario will become subject to the type approvals for agricultural and forestry vehicles stipulated in EU Directive No. 167/2013 (valid from 1 January 2018). All Fendt tractors are equipped as standard with wide-angle mirrors to provide better all-round visibility and improved safety. In future, the rotary beacon, available as an option, will be fitted with very long-life, powerful LED diodes.